For the dynasty that ruled Asir, see Idrisid Emirate of Asir. Idrisid state, around 820 CE, showing its maximal extent. The founder of the dynasty was Idris ibn Abdallah (788–791), who traced his ancestry back to Ali ibn Abi Talib and his wife Fatimah, daughter of the Islamic prophet, Muhammad. After the Battle of Fakhkh, near Mecca, between the Abbasids and a Shiite party, Idris ibn Abdallah fled to the Maghreb. He first arrived in Tangier, the most important city of Morocco at the time, and by 788 he had settled in Volubilis. The powerful Awraba Berbers of Volubilis (or Walili as the Berbers called it) took him in and made him their 'imam' (religious leader). The Awraba tribe had supported Kusayla in his struggle against the Ummayad armies in the 670s and 680s. By the second half of the 8th century they had settled in northern Morocco, where their leader Ishak had his base in the Roman town of Volubilis. By this time the Awraba were already Muslim, but lived in an area where most tribes were either Christian, Jewish, Khariji or pagan. The Awraba seem to have welcomed a Sharifi imam as a way to strengthen their political position. Idris I, who was very active in the political organization of the Awraba, began by asserting his authority and working toward the subjugation of the Christian and Jewish tribes. In 789 he founded a settlement south east of Volubilis, called Medinat Fas. In 791 Idris I was poisoned and killed by an Abbasid agent. Even though he left no male heir, shortly after his death, his concubine Lalla Kanza bint Uqba al-Awrabi, bore him his only son and successor, Idris II. Idris' loyal Arab ex-slave and companion Rashid brought up the boy and took on himself the regency of the state, on behalf of the Awraba. In 801 Rashid was killed by the Abbasids. In the following year, at the age of 11 years, Idris II was proclaimed imam by the Awraba. Even though he had spread his authority across much of northern Morocco, as far west as Tlemcen, Idris I had been completely dependent on the Awraba leadership. Idris II began his rule with the weakening of Awraba power by welcoming Arab settlers in Walili and by appointing two Arabs as his vizier and qadi. Thus he transformed himself from a protégé of the Awraba into their sovereign. The Awraba leader Ishak responded by plotting against his life with the Aghlabids of Tunisia. Idris reacted by having his former protector Ishak killed, and in 809 moved his seat of government from the Awraba dominated Walili to Fes, where he founded a new settlement named Al-'Aliya. Idriss II (791–828) developed the city of Fez, established earlier by his father as a Berber market town. Here he welcomed two waves of Arab immigration: one in 818 from Cordoba and another in 824 from Aghlabid Tunisia, giving Fes a more Arab character than other Maghrebi cities. When Idris II died in 828, the Idrisid state spanned from western Algeria to the Sous in southern Morocco and had become the leading state of Morocco, ahead of the principalities of Sijilmasa, Barghawata and Nekor. The dynasty would decline following Idriss II's death and under his son and successor Muhammad (828–836) the kingdom was divided amongst seven of his brothers, whereby eight Idrisid statelets formed in Morocco and Algeria. Muhammad himself came to rule Fes, with only nominal power over his brothers. During this time Islamic and Arabic culture gained a stronghold in the towns and Morocco profited from the trans-Saharan trade, which came to be dominated by Muslim (mostly Berber) traders. Even so, the Islamic and Arabic culture only made its influence felt in the towns, with the vast majority of Morocco's population still using the Berber languages and often adhering to Islamic heterodox and heretical doctrines. The Idrisids were principally rulers of the towns and had little power over the majority of the country's population. The Idrisid family in turn was heavily berberised, with its members aligning itself with the Zenata tribes of Morocco. Already in the 870s the family was described by Ibn Qutaybah as being berberised in customs. By the 11th century this process had developed to such an extant, that the family was fully integrated in the Berber societies of Morocco. In the 11th century the Hammudid family arose among these Berber Idrisids, which was able to gain power in several cities of northern Morocco and southern Spain. In 868 the Berber Khariji tribes of Madyuna, Ghayata and Miknasa of the Fes region formed a common front against the Idrisids. From their base in Sefrou they were able to defeat and kill the Idrisid Ali ibn Umar and occupy Fes. His brother Yahya was able to retake the city in 880 and establish himself as the new ruler. The Idrisids attacked the Kharijis of Barghawata and Sijilmasa, and the Sunnis of Nekor multiple times, but were never able to include these territories in their state. 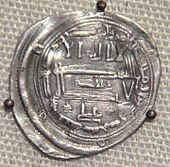 In 917 the Miknasa and its leader Masala ibn Habus, acting on behalf of their Fatimid allies, attacked Fes and forced Yahya ibn Idris to recognize Fatimid suzerainty, before deposing him in 921. Hassan I al-Hajam managed to wrest control of Fez from 925 until 927 but he was the last of the dynasty to hold power there. From Fes, the Miknasa began a violent hunt across Morocco for members of the Idrisid family, seeking to exterminate them. Most of the Idrisids settled among the Jbala tribes in North-west Morocco where they were protected by the reluctance of tribal elders to have the local descendants of Muhammad's family be wiped out. In the Jbala region they had a stronghold in the fortress of Hajar an-Nasar, from where they tried to restore their power base, until the last Idrisid made the mistake of switching allegiances back to the Fatimids, and was deposed and executed in 985 by the Cordobans. ^ Moroccan Feminist Discourses. Fatima Sadiqi. 2014, page 46. ^ John G. Hall; Chelsea House Publishing (2002). North Africa. Infobase Publishing. p. 57. ISBN 978-0-7910-5746-9. : "Some historians believe that this was the beginning of the first Moroccan state, but it did not encompass the entire area of modern-day Morocco. Certain territories remained under the control of the Umayyad emirs in southern Spain or the Fatimid empire, as well as several Berber confederacies that maintained autonomous rule in neighbouring territories"
^ a b Idris I, D. Eustache, The Encyclopaedia of Islam, Vol. III, ed. B.Lewis, V. L. Menage, C. Pellat and J. Schact, (Brill, 1986), 1031. ^ Idrisids, D. Eustache, The Encyclopaedia of Islam, Vol. III, 1035.